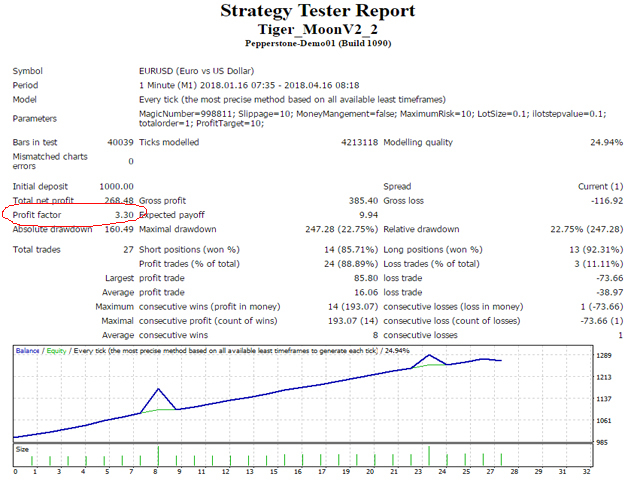 Tiger Moon EA robot is a automated robot for Forex trade. The EA does use a strategy of the MACD combined with martingale. MagicNumber: usually magic number of Tiger Moon EA is unique. Change its value only if your other EA uses the same magic number. Slippage: the maximum allowed slippage when you trade. Management: will auto calculate lots size when Management = true. MaximumRisk: is the risk option, 0.5 means 0.05% of the deposit. LotSize: enter the fixed lot size that you want to trade (if use Management = false). ProfitTarget: order will be closed when profit is reached. The EA works with the following pairs: EURUSD, GBPUSD, USDCHF, AUDUSD, EURGBP, NZDUSD, EURAUD, USDCAD, AUDCAD, EURCAD and XAUUSD and the H1 timeframe. However, we recommended GBPUSD and EURUSD. 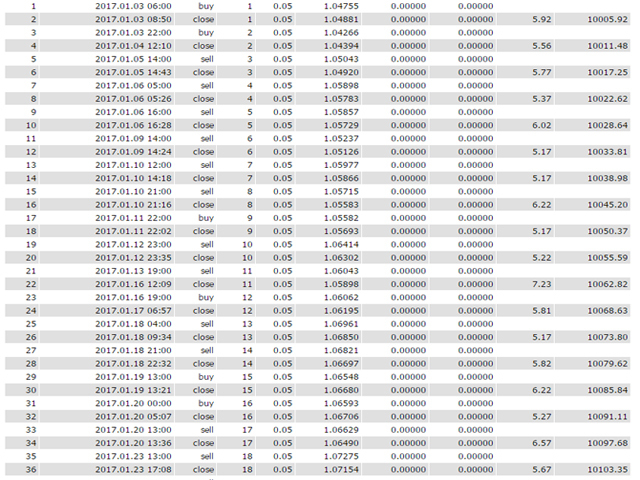 Please trade the EURUSD pair only if you put minimal deposit 500 USD. 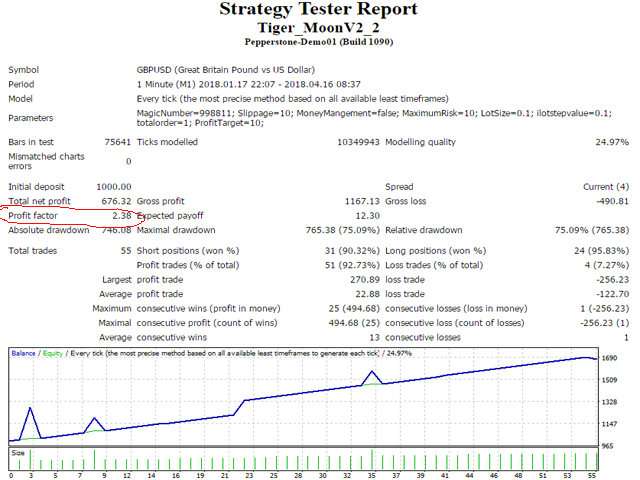 Recommended deposit is 1000 USD for the GBPUSD and EURUSD pairs. The default setting is the best and recommended, do not change anything if you do not know what you are doing. VPS server 24/5 is advised. Please contact us for more information if you have question.